The free mockup of the day is Smartphone With Laptop Mockup Placing on Wooden Table. 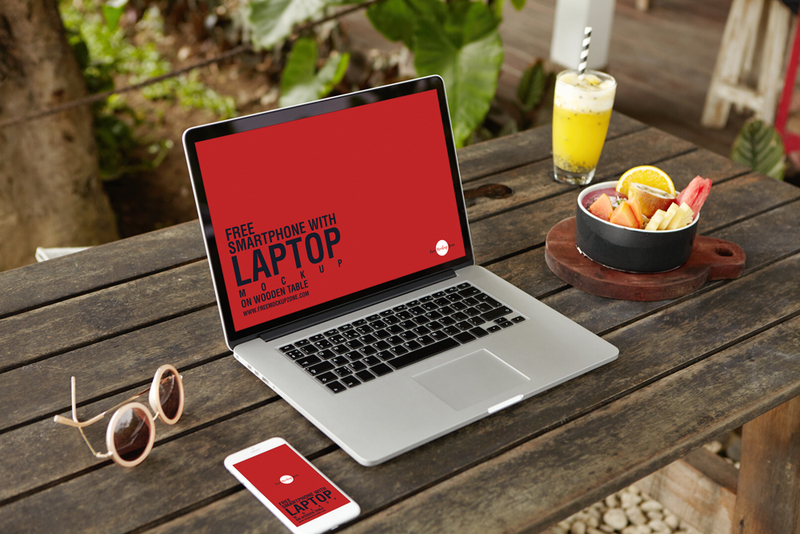 This mockup is specially designed to showcase your smartphone and laptop app designs in a flawless way. Get desire result by placing your design in smart-object layer. This wonderful mockup is shared by Dribbble Graphics. Feel free to download and must watch our daily free mockup psd templates.